and now I am Meher Baba. a great push will be given to humanity. My Word of words will touch the hearts of all mankind. Meher Baba declared that he is the Avatar of our age: the Savior, Messiah, Christ, Rasul (Prophet), Buddha—the World Teacher awaited by all of humanity. This site gathers together published statements of Meher Baba about his Manifestation as the Avatar of the Age, including the Silence he observed from July 10, 1925, and the promised breaking of his Silence, which he said would be the signal for his public Manifestation. The quotations from Meher Baba are drawn from an unpublished collection edited by David Carter under the title Meher Baba: The Word. The chapters from his book correspond to six areas here titled Principal Statements, Speaking in the Heart, Baba’s Suffering & Silence, The New Humanity, Meaning of Baba’s Silence, and The Word of Words. We are grateful to David Carter for granting permission to share his research and writing here, including his essay on Baba’s Silence. (All words of Meher Baba are © Avatar Meher Baba Perpetual Public Charitable Trust.) We have also added further quotes that were not in David’s original manuscript. In addition, the site is also a repository of viewpoints, beliefs, speculations, intuitions, visions, and other commentary about the Advent and Manifestation of Avatar Meher Baba. Comments by individuals are mainly gathered in the Views & Visions section. We suggest you start by reading David Carter’s essay on the breaking of Baba’s silence, which is a good summary of his anthology as well as his own opinions and beliefs on this topic. We also have visionary interpretations by contributors such as Jim Auster, Evan Bussanich, and Mirek, plus commentary from various other writers, and we hope that readers will submit items for possible addition to this section. Different interpretations of Baba’s Manifestation are possible, since he issued seemingly mysterious or contradictory statements about it. Kenneth Lux, who has written on this topic, has divided Baba-lovers into two basic camps (though there are further possible subdivisions): Suddenists, who believe that a world-awakening event signaling Baba’s public Manifestation is yet to come, and Gradualists, who believe that the Silence has already been broken but that its world-transforming effects are unfolding gradually. Perhaps a third possibility is to live one’s life in remembrance of Meher Baba without trying to figure out any “final”meaning of his words. He did want us to receive his messages, though, including those about the breaking of his silence, and that is why we present them here. About Meher Baba: If you are new to Meher Baba, please see this page for a brief biography and suggested readings. 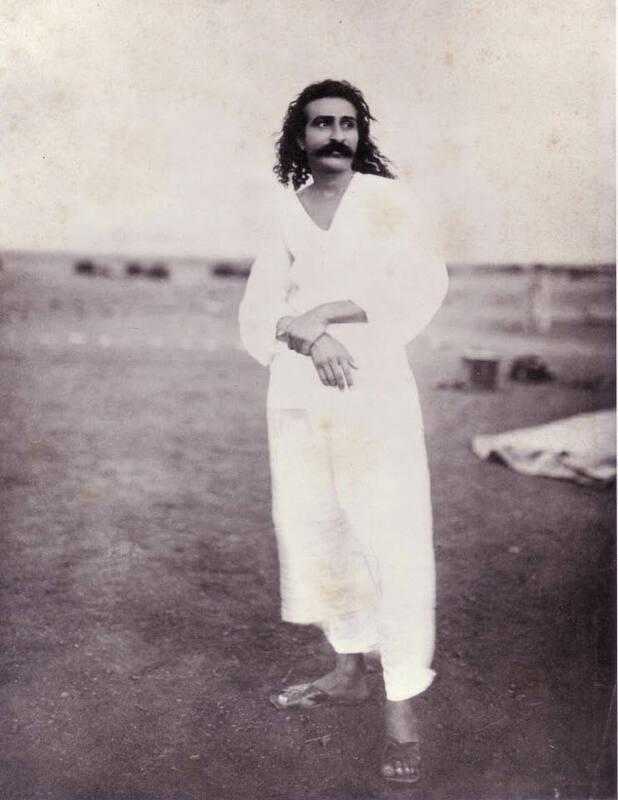 “The Silence of Meher Baba — as unheard, as un-understood, as unfathomable ever. And as ever, more than ever, His lovers talk about His Silence. They themselves, so that they might answer the sceptics: Has the Silence been broken? Has the Silence been broken and not been heard? Baba said He will break His Silence while in the body — which body does it mean? Did He mean universal body? Will the breaking of His Silence be manifest in the shape events to come, rather than in Sound form? A hundred questions, having as many answers as there are lovers. Not only had each lover his or her answer, each lover is an answer. That the questions don’t question the breaking of His Silence, but simply seek to know ‘when’ and ‘how,’ is enough answer for the sceptics of the world. In His lovers’ unwavering faith and love, Baba’s Silence is heard continuously. Note: This website, “Avatar Meher Baba Manifesting,” is not based on the book by Bhau Kalchuri titled Avatar of the Age, Meher Baba Manifesting. However, we recommend the book; see this page. that I am the One whom they were waiting for. I had to come, and I have come. I am the Ancient One.